Janis Gonser, a native of Hamburg, Germany, has been serving the German-Texan Heritage Society as a board of directors for 2 years. As of January 2018 he was elected as the Vice President focusing on the overall execution and strategy, while staying true to the organization’s mission and vision. 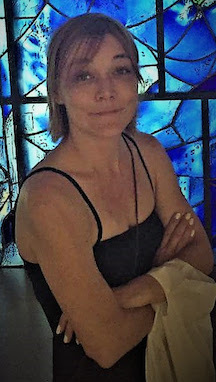 Over the last 20+ years, Janis has worked in the online world as a (senior) developer, manager for developer and creative teams, director of user experience, CTO, and CPO. He is currently working as a product owner for BuildASign.com, an Austin founded ecommerce company. In 1999, Janis had moved to Tallahassee, Florida, to be with his Cajun girlfriend, who was finishing up her Masters in Fine Arts at Florida State University. After 7 years of living in north Florida, they decided to settle down in Austin, due to the variety of professional and personal opportunities. They are now living in Round Rock, TX with their two daughters and two dogs, enjoying the smaller town feel, while having access to all the great things the larger Austin metropolitan area has to offer. Richard Gruetzner was born and raised in Austin, Texas. He studied aerospace engineering at Texas A&M University. He then began a long career of public service as a deputy sheriff with the Travis County Sheriff’s Office. Richard retired in 2012 as a Lieutenant, after 39+ years with the agency, and now devotes his time to various non-profit organizations. In addition to being a life member and serving on the Board of Directors of the German Texan Heritage Society, Richard has been a longtime volunteer with the Texas Military Forces Museum located at Camp Mabry in Austin. He is a past-President and is currently the Vice-President of the Board of Directors of the museum’s supporting foundation, the Texas Military Forces Historical Foundation. Richard also serves as the Vice-President on the Board of Directors of the Texas Wendish Heritage Society and volunteers at their museum in Serbin. Married in 1987 to Cathleen, Richard has joined several veteran service organizations of which Cathleen, a veteran of the US Marine Corps, is a member. He is the Vice-President on the National Board of Directors of the Loyal Escorts of the Green Garter, the auxiliary of the Women Marines Association. Richard is also the Chairman of the congregation at Hope Lutheran Church of Marble Falls. Richard and Cathleen currently live in Burnet, Texas. In his free time, Richard enjoys researching his German and Wendish family history and participating in living history reenactments for the time periods ranging from the War Between the States to Viet Nam. He has translated several German military manuals for the museum at Camp Mabry and maintains and operates various German (armored and non-armored) vehicles for the museum. Fun Fact – Spending free time driving a WW2 German tank destroyer. Kristi has been a business owner and entrepreneur since 2007. She sold one company and worked in high tech with commerce applications in the telecom industry. Prior to her current business, Cups & Cones, she worked as an educator and education administrator in Texas and in California. Kristi is originally from Minnesota but has been a nomad following the silicon with her husband Rick’s career for almost 30 yrs. They have three grown kids together with the last one graduating from high school this year. She has a Bachelor of Science from University of Minnesota Twin Cities. Kristis’ German roots go way back with her German grandmother and she cherishes everything that involves her German heritage and culture. Kristi and Rick have hosted two German students. One of them attended Cedar Park High School and is now near completion of her PhD in Germany. Kristi has lots of fond and happy memories editing LOTS of papers. The second student completed his undergrad in architecture and is working on his masters in Germany. They love these two like their own! Kristi has been a board member at GTHS since 2014 supporting our many events, sharing her business and vendor management expertise as well as disclosing her numerous contacts. Larry Dueser has served on the Board of Directors of the German-Texan Heritage Society for six (6) years and is currently the Treasurer. He is a Ph.D. graduate in Engineering from U Texas. In his professional pursuits he was a Principal Scientist, Department Director and Lead Investigator for many large defense and intelligence programs for over 40 years. Most of his employment was with Tracor, inc., Austin’s first homegrown Fortune 500 company, in addition to university research and teaching assignments. This training and experience along with his abiding commitment to the people and the fabric of Austin has led him to countless hours of volunteer efforts. Dr. Dueser helped establish the Austin Meals on Wheels in Austin and served on the first board and second President. He also served in the same capacity for the SER-Jobs for Progress (a Hispanic employment and education program). He was active in the Austin neighborhoods and environment movement. He was elected by all the citizens of Austin to the Austin City Council in the 1980’s and along with six (6) other members presided over a budget of over $250M and provided services to our growing community. Additionally, he served on important Austin boards and commissions for 20 years. Dr. Deuser has been interested in his own and Texan’s German culture and roots. He has connected with the remaining family in Germany from which his family immigrated in the mid 1800’s. One of his distant cousin’s is known as the “Betsy Ross” of Texas, Johanna Troutman that provided an early Lone Star Flag used in the Texans Independence struggle at Goliad. Johanna is memorialized by a grate and statue in the Texas State Cemetery just a short distance from that of Stephen F. Austin. Her portrait hangs in the Texas Capital building. After moving to Texas in the spring of 2006, Barbara Berthold has embraced volunteerism and served her community in various leadership roles. 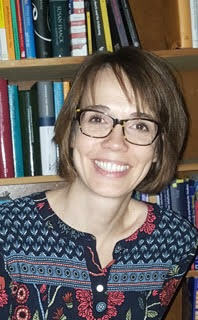 Barbara is interested in pedagogy of foreign language teaching, teacher education and preparation, Texas German history and international relations. Barbara is a Lecturer of German at The University of Texas at Arlington. 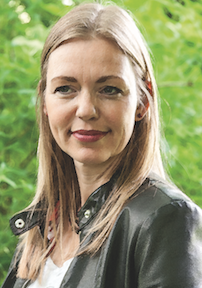 She holds a Doctor of Philosophy Degree in Education from the University of Bremen, as well as, a Certificate in Nonprofit Management from the Dallas Center for Nonprofit Management. Helping people and organizations grow is her passion and she has been described as a bridge builder between cultures. Eddie Wolsch is a semi-retired high school counselor, retiring from full-time employment in public education after 33 years. As a past member of the Texas Association of College Admission Counselors (TACAC) he served as the policy analyst for the Government Relations Committee in which he tracked and analyzed bills related to the mission of TACAC. With an interest in the educational needs of the various underserved populations of students of talent, he also served at the state-level on a committee devoted to that issue for the TX Association of Gifted and Talented. Of Platt and Wendish descent, he has had a life-long interest in his heritage, and has been a long-time member of GTHS. He graduated with majors in history and social science at Howard Payne University where he also studied German. He then pursued an M.A. in history at Midwestern State University before switching to an M.Ed. in counseling, due to a lack of job opportunity as a professional historian. In addition to managing the family farm, spending time with grandkids, and renewing his study of German, hobbies include genealogy and study of the history of the areas from which the lines of his family originated. He also researches the history of the German farm community he grew up in and calls home. Declaring herself a Tex-Okie, Lu Hollander spent a number of years living and working in Oklahoma City before returning to life in the picturesque Central Texas town of Brenham. Lu’s German heritage is traced to her great-great-grandfather who came to Texas in the 1830s and settled not far from Brenham. Holding both bachelor and master’s degrees, Lu worked with several large privately-held companies in their Marketing/Communications departments. Over the years, her work earned numerous regional and national awards for excellence. A licensed pilot, Lu joined The Ninety-Nines, Inc., an organization for women pilots founded in 1929, serving as the organization’s magazine editor for six years. Having edited and designed several commemorative publications for the group, she was also elected its international president in 1992. Shortly after moving to Brenham, Lu accepted a position with the Convention & Visitors Bureau (CVB) of the Washington County Chamber of Commerce as Advertising/Public Relations manager. During her 13-year tenure, the CVB’s annual budget grew from less than $200,000 to nearly $600,000, while the staff expanded from a one-person office to three full-time and three part-time positions. Lu retired from her full-time position with the Chamber-CVB in September 2017. She continues fulfilling an active role in tourism through her volunteer position as secretary for the Texas Independence Trail Region board, the first and most historic of 10 Texas trail regions established by the Texas Historical Commission. In addition to her GTHS board service, she also serves on the boards of the Washington County Genealogical Society and The Fortnightly Club of Brenham, the group that, in 1898, founded Brenham’s library and continues its ongoing support. Marc Pierce came to Texas in 2007, as Assistant Professor of Germanic Studies at UT-Austin. He is currently Associate Professor of Germanic Studies at UT-Austin, as well as a Research Associate on the Texas German Dialect Project, an Affiliate of the Angus McIntosh Center for Historical Linguistics at the University of Edinburgh, and the Book Review Editor of the Yearbook of German-American Studies. His research focuses mostly on historical linguistics, the history of linguistics, Germanic linguistics, and Texas German; he regularly teaches courses on the history and structure of the German language, Grimms’ fairy tales, and the early Germanic languages (Old and Middle High German, Gothic, and Old Saxon). He is currently working on a book about the history of Germanic linguistics in North America. His interest in Texas German began when he came to Texas and first learned about this fascinating New World variety of German. Since then, he has been involved with the Texas German Dialect Project and has collaborated on several articles on Texas German topics, e.g. front rounded vowels, relative clauses, and English loan words. He is currently working on co-authored articles on plural formation in Texas German and a reassessment of the impact of World War I on Texas Germans and the Texas German language. He has been a member of the GTHS Board since 2016. Sandra is originally from New Mexico, but has studied in various parts of the German-speaking world, including East Germany. She is passionate about language learning and cultural understanding. She holds an MA in German Studies. She has been teaching German almost three decades—from enrichment programs and summer camps for K-6th graders, to middle school German, French and Spanish programs, to high school AP and IB courses, to university labs and 2000 level courses. During her career, she has also been very involved in local, regional and national German language efforts with the American Association of Teachers of German (AATG). She is currently on the board of the AATG-North Texas chapter, where she is the media chair, and has also served on the board of the Dallas Goethe Center. She also serves on the executive boards of the regional and state German Arts and Academics competitions, Winterfest and the Texas State German Contest. She hopes to serve as a liaison between the German teachers in the area and the community organizations in order to grow and improve German organizations and programs across Texas. JT Koenig is the Sr. Fiduciary Team Manager for the Personal Trust Service Teams of Fiduciary Management Services (FMS) in Austin, TX, covering the Southwest and Southeast regions. He also manages the Texas On-Site Operations team. JT has a total of 25 years of experience in the estate planning and trust administration field, most if which has been in the financial services industry. His current role within Wells Fargo Wealth Management is leading the Texas FMS Office’s Regional Personal Trust Service Teams, as well as its On-Site Operations Team since 2012. While leading these teams, he routinely advises on both the substantive aspects of fiduciary administration as well as the relationship-based aspects of the same discipline. His style of leadership is one of advocacy as well as mentorship, which is designed to foster his team members’ growth as fiduciary professionals, while maintaining a keen focus on adherence to policy and procedure, following the dictates of the governing document(s) and state law, and mitigating overall risk, while simultaneously achieving a positive client experience. Prior to his tenure at Wells Fargo, JT was a Chief Trust Officer and Market Trust Director with Merrill Lynch Trust Company, now a division of Bank of America, where he managed its Seattle Trust Center, covering the Pacific Northwest and Mountain West. JT graduated from the University of Houston with a Bachelors of Arts (BA) in Psychology while minoring in Communications. He also holds a Juris Doctorate (JD) from St. Mary’s University School of Law as well as a Masters Law degree (LLM) in Taxation from the University of Houston Law Center. JT enjoys genealogy and history and is a board member on a number of local historical associations. He also enjoys traveling and visits Germany regularly, where much of his family resides. JT resides in Austin and La Grange, Texas. 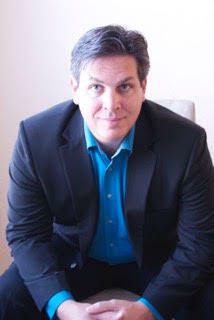 Dr. Ralf Bendlin is a Principal Member of Technical Staff at AT&T Labs in Austin, Texas. Before joining AT&T Labs, he was a Senior Wireless Systems Architect with Intel Corporation in Portland, Oregon and a Systems Engineer with Texas Instruments Inc. in Dallas, Texas. He has worked on algorithm development, performance prediction, optimization, systems architecture, and technology strategy for current and next-generation wireless networks and has actively participated in the definition of several global communications standards for which he holds several patents. Dr. Bendlin earned a Bachelor’s degree and a Master’s degree from the Munich University of Technology in Munich, Germany as well as a Master’s degree and a Ph.D. from the University of Notre Dame in South Bend, Indiana. All degrees are in Electrical Engineering and Information Technology. At the University of Notre Dame, Dr. Bendlin is a member of the Advisory Council of the College of Engineering and the Industry Advisory Council of the Department of Electrical Engineering. He has previously served as the Technical Program Chair of the 2017 IEEE International Symposium on Dynamic Spectrum Access Networks and as Guest Editor of the IEEE Transactions on Cognitive Communications and Networking (TCCN). Dr. Bendlin joined the board of the German Texans Heritage Society in 2019. Fun Fact: Dr. Bendlin grew up around Koblenz, the sister city of Austin, which he still visits several times a year. I’m married to Manuela Markley (German native) and have two teenage daughters Saskia and Svenja (both German-Texan). I’m a native Texan, grew up in Lockhart, Texas and have lived in the Austin area for 20+ years. I can trace my family to one of the “Old Eighteen” defenders of the Gonzales cannon who died defending the Alamo, Jacob Darst. The only break in not living in the Austin area was from 2012 – 2015, when we moved to Munich, Germany where I worked for O2 / Telefonica Germany, similar to Verizon here in the USA. I understand and speak German and some Bayerish. I have a degree from Texas State and an MBA focused in International Business. A work delegation brought her and her family to the US in 1997. After spending many years in different cities on the east coast, she moved to Texas in 2007. Doris started volunteering for GTHS festivals and in the Trenckman Library in 2011, she joined the office team in 2012. Doris holds a degree in business economics and worked for the German company Siemens for many years where she met her husband Marcus. In her free time, Doris enjoys spending time with her husband and her two children. She also enjoys the city of Austin, the outdoors, hiking with her two Wiener dachshunds Honey and Skittle, traveling to Europe and working out. Manuela is a native German, from Celle, Niedersachsen, who immigrated to Austin, Texas with her parents and siblings just as she had started her first year of studies at the University of Düsseldorf. She continued her studies and received her Bachelor of Fine Arts in Communications Design with a minor in Photography from Texas State University in San Marcos, Texas. As an artist at heart, Manuela ran her own photo studio and T-Shirt print shop from home while raising her two daughters, Saskia & Svenja as well as supporting her husband, Chris, and his Wanderlust and taste for adventures. During their almost 4 year stay in Munich, Germany, Manuela received continued education for graphic design at the prestigious Wildner Academy. It was during that time that she discovered her true love for “pottery”! If you’d like to see some of her work click here. If you’d like to know what it’s like to move back home as an adult, you can read about the Markley’s fun adventure here. Fun Fact: Manuela is fluent in English and German, speaks some Spanish due to her living in Buenos Aires as a child and can understand French. She loves her German heritage and is intrigued by how many Americans are of German decent. Since professional retirement Charles has been an active member of the GTHS for 12 years serving in a variety of volunteer roles including President of the GFS Guild, Treasurer and Vice President of the GTHS Board. Also he was assigned during a two-year transition period of a Director vacancy as temporary manager of GTHS business and program activities. In these various voluntary roles he was able to establish an active cooperative working relationship with Red River St businesses and entertainment venues in promotion of this historic district. He is the son of a German mother and Irish father that sparked his keen interest in Genealogical research and prompted his membership in the Austin Genealogical Society where he served as the Board President. The immigration of his German grandparents and great grandparents to the USA during the late 1800’s and their continuing contact with the extended family has presented the opportunity to visit with these cousins during several trips to Germany. 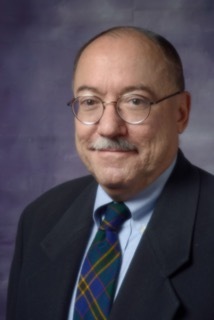 His work career of 40 years has included various positions in Texas State and County governments including Assistant Commissioner, Director and Superintendent positions of Inpatient Facilities & Institutions, Psychiatric hospitals, and community service agencies and also in private practice as a Management Consultant, Therapist and State Legislature lobbyist. Charles has a BA degree from Baylor U. with majors in Theology and Psychology and graduate level advanced training in Psychology and a MSSW degree in Social Work with training in Psychiatric services with license, LMSW, and certification, ACSW, when in practice. 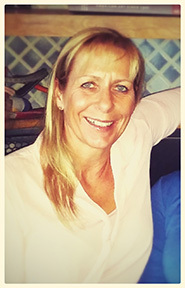 Melanie was a native of Dierkshausen, Niedersachsen, Germany and had lived in Austin since 1991. She was employed by the German-Texan Heritage Society as a Program Director for the German Language Outreach Program. Melanie was loved immensely and will be missed for the joy, laughter, creativity and work ethic she shared with everyone she met. Her husband asks that you honor her memory and spirit by living your life with the strength, tenacity, and humility that she always did. Melanie M. Schmidt-Dumont, age 40, passed away on Wednesday, March 15, 2017. She is survived by her husband, partner & soulmate of nearly eighteen years, Antony M. Gatto. Memorial services will be held at the Schmidt-Dumont-Gatto home on May 7, 2017, the eighteenth anniversary of the day they met & became inseparable. In lieu of flowers and gifts, Melanie would have liked to have donations made to Austin Pets Alive in her name. Condolence Cards can be sent to Antony M. Gatto, 1211 Springbrook Drive, Pflugerville, TX 78660.